Hey dads. We're big fans of what you do. You're hunters and gatherers, chefs, and dinnertime disciplinarians. You juggle fun times and life lessons; balance goofiness with responsibility. You read the best bedtime stories and you tell the worst jokes. You're the dedicated protector of your little tribe. It's been that way since you held your first child and promised that anyone trying to hurt them would need to get through you first. You committed to giving your best, even before you knew how good your best could be. 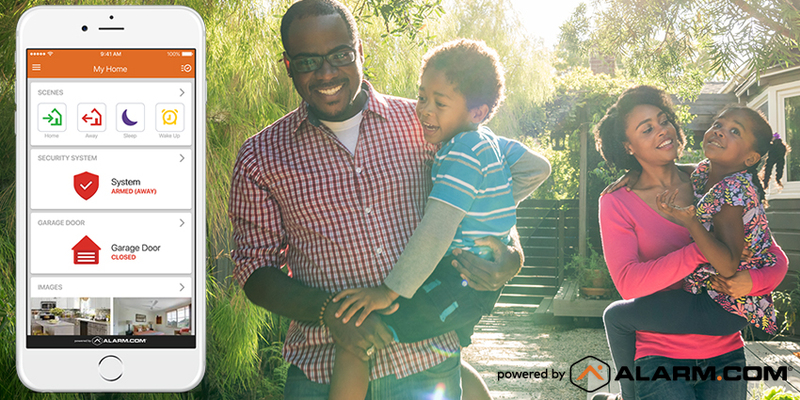 We'll help you protect your family with technology engineered to keep them safe. 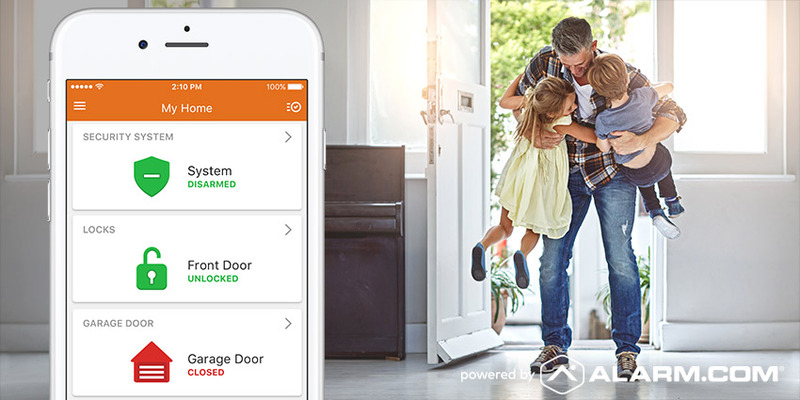 Alarm.com-powered home security deters crime, alerts you proactively to security risks and unexpected activity, responds automatically to fire and other dangers, and works when you need it—even in a power outage or a crash-and-smash burglary. Professional security monitoring is always included, because in an emergency, you can't do everything at once. They'll take care of alerting your police or fire department while you focus on the situation. You're always extra-vigilant for issues around the house that could cause a big-ticket repair or an expensive bill. It's not because you enjoy it, despite what the kids say. When they're older, they'll see how important it is to protect your family's resources. 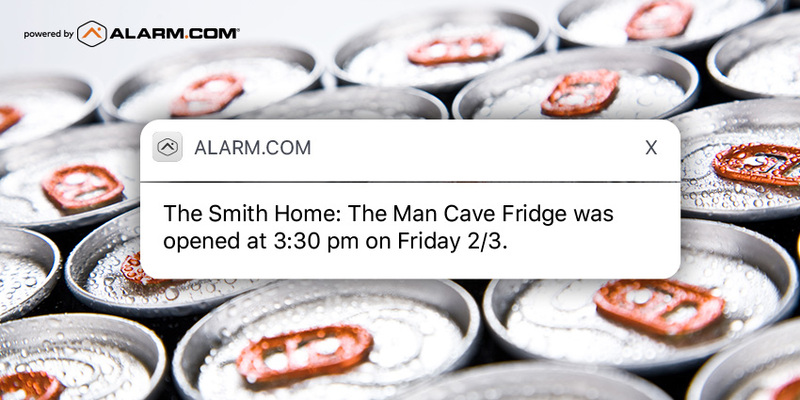 We'll help you with technology that detects when something isn't right in your home's environment and lets you know. Alarm.com can alert you to a sudden water leak, a flood or freeze risk, or high humidity that could cause mold. We'll even let you know if the kids leave doors open with the AC running. Money doesn't grow on trees, you know. You protect your family's quality time. You take joy in seeing your kids grow and you're sad they can't stay this age for longer. It's complex. And it's why you make family time a top priority. When you're making memories for your little guys, work and worries can wait. 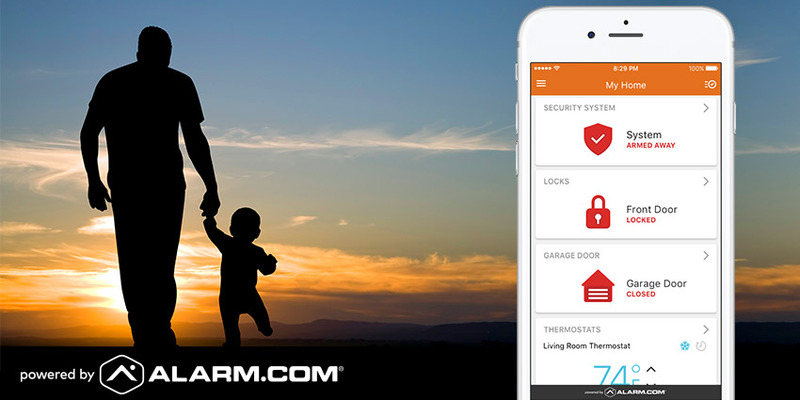 When you're out with your family, we'll help you put any home security what-ifs to rest. A glance at your Alarm.com app can confirm that everything's secure. There's streaming video if you need a closer look, and alerts that let you know if something's up. When you're on vacation together, we make things easier for you and your house-sitter alike. They won't even need a spare key.